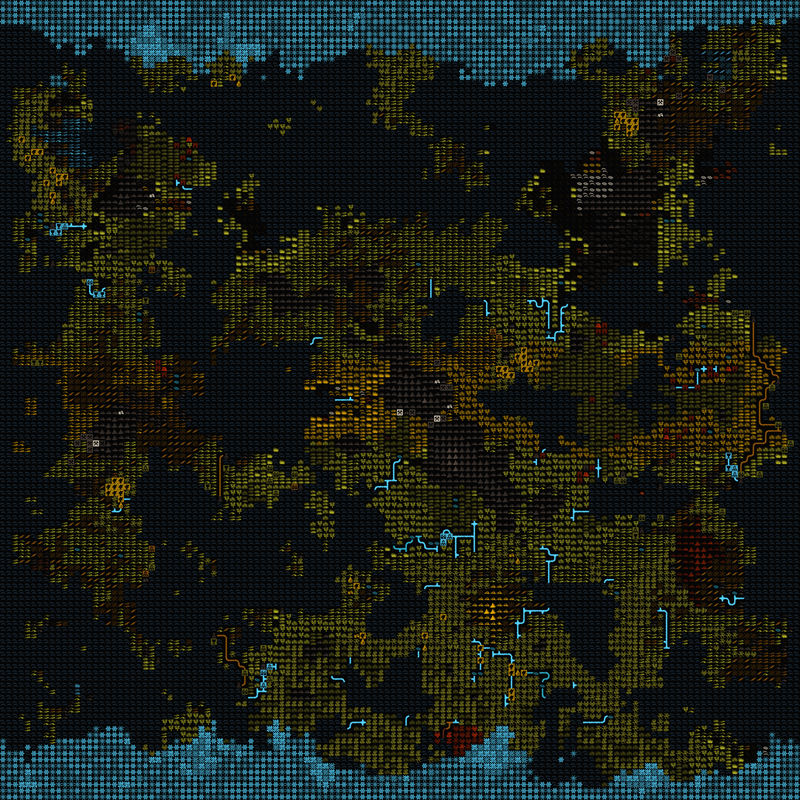 A tileset exclusively used to portrait nice worldmaps. All characters are improved to show hills, grasses, forests, towns and hamlets, necromancer towers and goblin pits.  Unfortunately a lot of text character like ",", ". ", "V", "0", "I" and "n" are replaced too, which means that this tileset is only for maps! 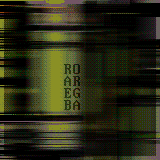 I use the text characters from Dragondeplatinos Dawnfortress set, it was the nicest 32x32 text I could find. I used photoshop brush templates for a lot of the icons, resized and recolored. - It's like this in unmodded too, but small cyan streams are more attention-grabbing than moderate-sized blue streams. Not sure if this can be messed with? - I had to zoom in and look around to figure out which were elves. Don't really associate capes and cruches with them. Initially thought the goblet represented them, as the major forest retreat represents goblets by default. - Both Fortresses look good and intuitive. • badlands vs hilly rocky wasteland - the latter is a single diagonal dune, right? • Grassland, savanna, shrubland - To be fair, hard to distinguish in vanilla too. I'd guess the few trees are shrubland while double and single brushes are savanna and grassland, respectively. - Confused one of the city types for towers occassionally. I can make the ice darker. Badlands are a diagonal canyon. Might look a bit like a dune. The latter, rocky somethings, should be a black tile with a few colored rocks/dots on it. If you look at the tileset above, its 3rd line, center. Underneath the conifer trees. DF kinda mixes those. I just put generic grass tiles for them. The goblin dark fortress, I guess? The streams are really attention-grabbing on world map. The rivers go well in with the rest of the set. That human town is an anchor, since those towns only exist on the ocean. I wanted the symbol to fit a harbor. Maybe find a way to push the ocean tiles down a bit, either by making them slightly darker or slightly thinner? You don't get the "continent pop" that some map tilesets have. Really minor thing. It looks great. I actually made 3 different wave tiles. 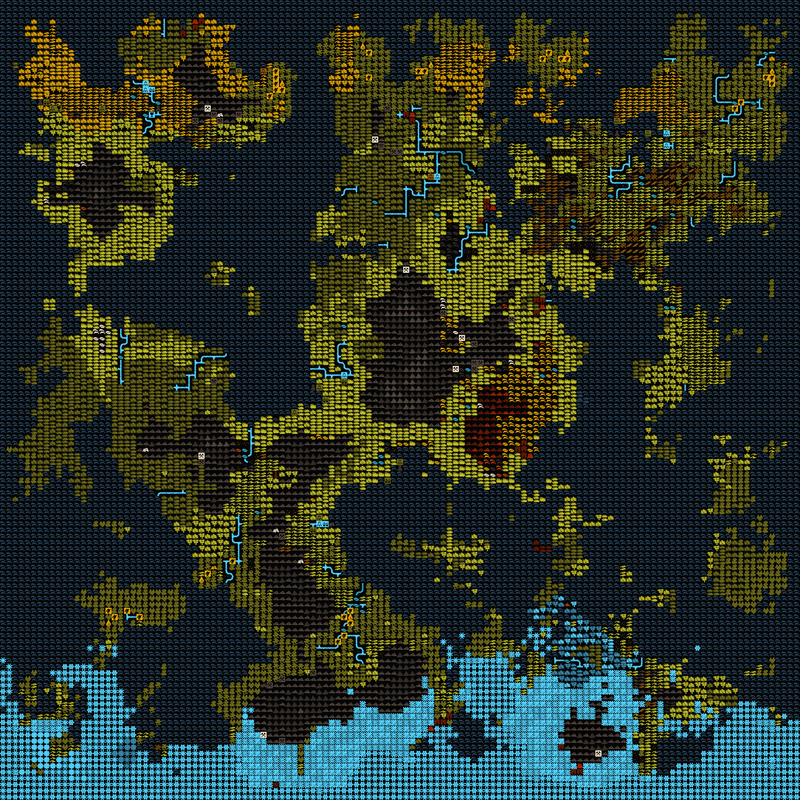 One is very slim/dark, which highlights continents more, but I thought it looks odd for lakes/sand/deserts. hey Meph,is the map tileset for MDF or we have to wait for a little longer to be on MDF? It works for all DF versions and all mods. Its included in Masterwork too, in the data/art folder. 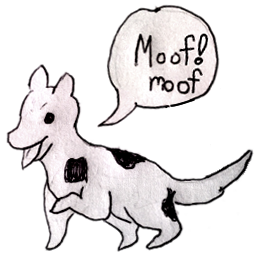 Just look for the Meph_Map_32x32.png. Other questions answered... except, how does one tell what civ the various hamlets/etc belong to? Vanilla, the only time coloring changes happens via takeovers is with dark pits and forts going from purple to gray. Since this is just a tileset....Well. All other options the easiest way is to look at sites to see their name during or before finalizing world generation, i.e. "The Dark Elven Fortress of Nimocauri". Won't tell apart with that if you have multiple civs of each races, though. I think with humans, the first human civilization is green and the second is blue. Is that right? I see... what about MWDF races? I assume that all "evil" races are set to use goblin icons and so on? Shame to hear it uses colors, I have difficulties distinguishing certain shades. That'd be awesome if overrides could be used for the different civ sites, but it doesn't look like there are any overrides that can do that at the moment.